Women's wrestling in Scotland is at an all time high with talent bursting from all over, so in this spotlight of the Scottish scene I'm going to focus on two of my favourites that I've seen grow into two fantastic wrestlers whether they team up or fight individually. Making her start with Scottish Wrestling Entertainment back in 2012, Sammii started as a shy and quite vanilla in character. Being one of the only females on the SWE roster at the time she would face both men and women, being the scrappy underdog in most bouts. She would evolve, thanks in large part to Source Wrestling School and her association with "The Hashtag Scumbag" Ian Ambrose, into one of the best wrestlers on the SWE roster. Having blistering matches on a regular basis with the likes of Nikki Storm, Viper and Debbie Sharpe. Sammii was one of only two female wrestlers to hold the SWE Future Division Championship, she did so by beating the first, Viper, in a triple threat match also involving Debbie Sharpe. Her SWE chapter was only the beginning, laying the ground work for bigger things. It was her Fierce Females journey that really got all eyes on Sammii Jayne. 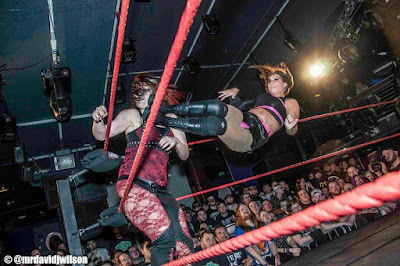 An incredible match against Fierce Female's Scottish Champion Kay Lee Ray saw people take notice of Sammii, she may've come up short in a match that took to the streets but she left a lasting impression on the Fierce Females fans that night. Now you can see Sammii Jayne all over the country, from Discovery Wrestling in the capital, ICW in Glasgow, PBW, SWA, to up North for Rock N Wrestle and WrestleZone. I would even go as far to say that Sammii Jayne is, right now, one of the Top Five women wrestlers in the country in my opinion. Up there with Nikki Storm, Viper and Kay Lee Ray. I'm like a broken record when I say that I saw Sammii right near the start when she faced Nikki Storm way back in August 2012 but to see someone evolve so much in so little time it's hard not to harp on about it. You wouldn't believe that it was the same person now. It was in stark contrast to the confident demeanour that fans should expect when seeing Sammii in action now. Confident, devious and hungry. Starting with SWE as a referee, Debbie soon saw herself right in the action with the likes of Viper and Sammii Jayne. In SWE she was the polar opposite of Sammii's more serious, by any means nessacery, no nonsense approach, Debbie was the fun and bubbly side and the SWE fans took to her immediately. Debbie Sharpe vs Sammii Jayne was one of SWE's biggest feuds, tradiing wins back and forth with each match better than the last. 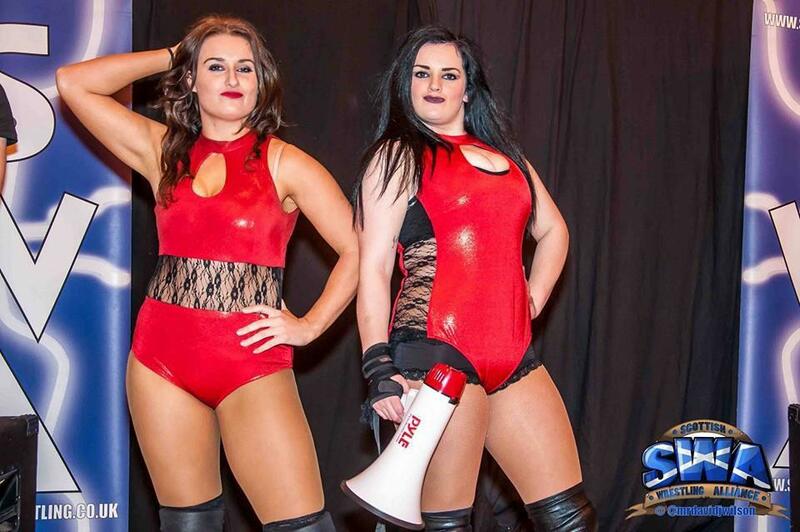 It's a rivalry that has seen them face each other all over the country from WrestleZone in Aberdeen to Fierce Females in Glasgow. Debbie has been unfortunate to suffer from several injuries early on in her career but with bad luck, Debbie saw opportunity and with that the #PrayForDebbie social media campaign was born. Her natural charisma is infectious whether she wants you cheer or boo her, she has the ability to make you react. Seeing Debbie wrestle it's clear she puts everything into her craft and is entertaining. Whether she's the cowardly baddie, the feisty fan favourite or just Debbie Sharpe, she is one of the finest that Scotland has to offer. 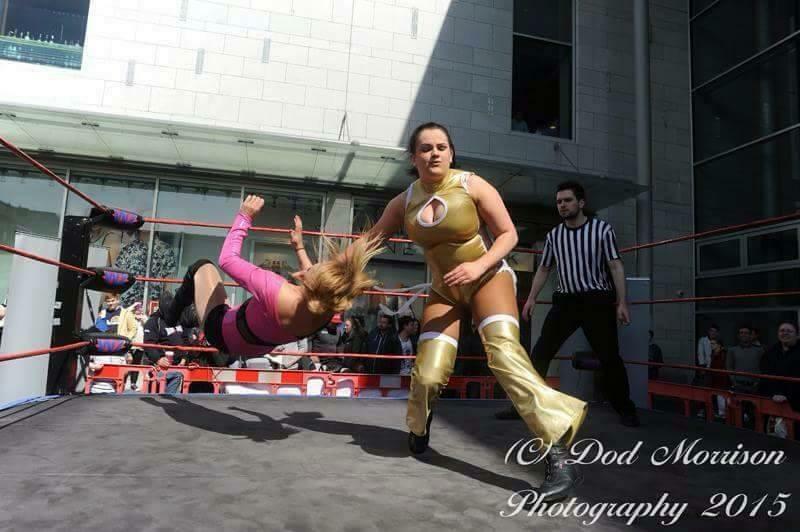 As mentioned, Debbie and Sammii have faced each other numerous times in SWE, SWA, ICW and WrestleZone. Tag team matches, battle royals, triple threats, these two are very familiar foes that know each other very well which has the danger of getting stale but I, personally, have seen them face off many times and they find a way to keep their matches fresh. One that stands out is a triple threat ladder match between the two, plus another name that has been mentioned a lot in this article, Viper. A hard-hitting encounter with high risks that had everyone on the edge of their seats. If you want to find out more about Sammii Jayne or Debbie Sharpe, you can find them on Facebook and Twitter by following the links below.